Last edited by owlice on Wed May 01, 2013 5:07 pm, edited 1 time in total. 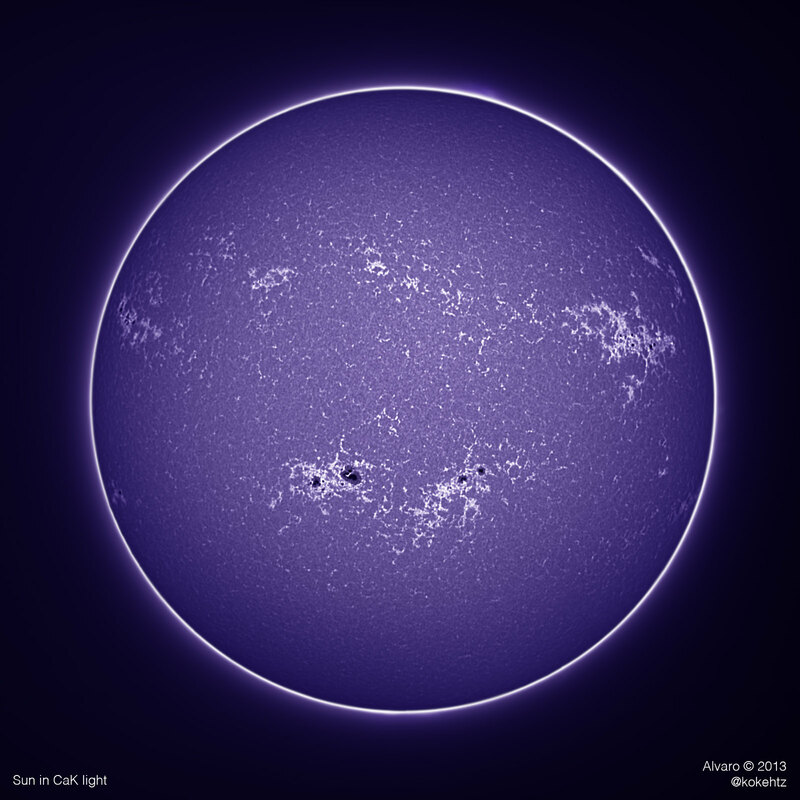 Light from singly-ionized calcium ions in the Sun's upper photosphere and chromosphere (up to 2000 km altitude). 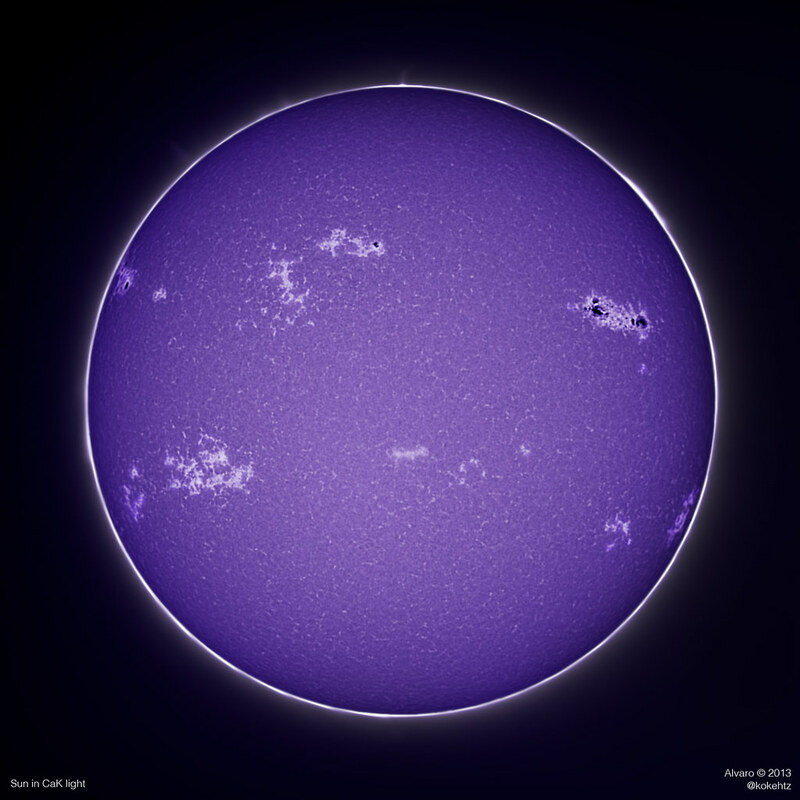 Because the blue Calcium K Line (393.3 nm) is sensitive to magnetic fields, magnetically active structures show up in high contrast against the surrounding chromosphere. 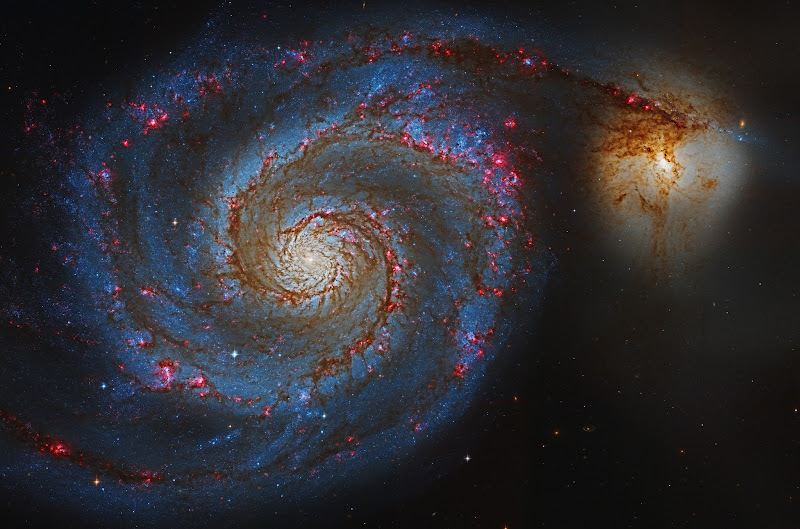 Places where moderate magnetic fields exist show up bright whereas images of high magnetic fields are dark. In this CaK image, you typically see brightness along the edges of large convection cells called supergranules and in areas called plages. Dark sunspots are also visible. group) tiny spots form initially without a developed penumbra and are called pores. These are usually relatively short lived or can develop a penumbra and become a fully developed spot. 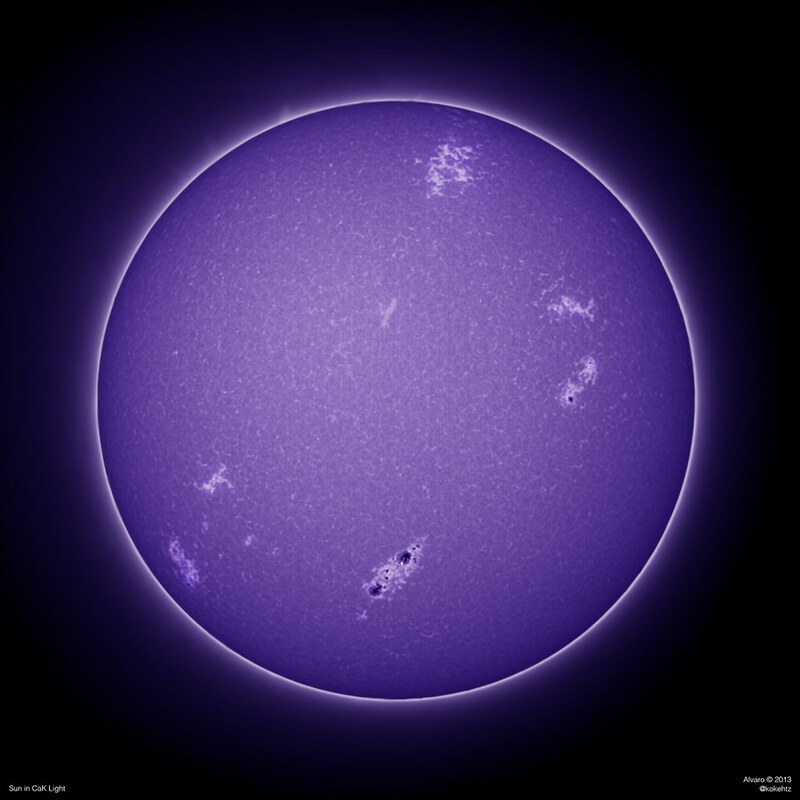 The chromosphere is a place of high solar activity. In the course of a few minutes we can observe changes in the ejecta and prominences, in the path of the filaments, and as matter flows following very characteristic arches. 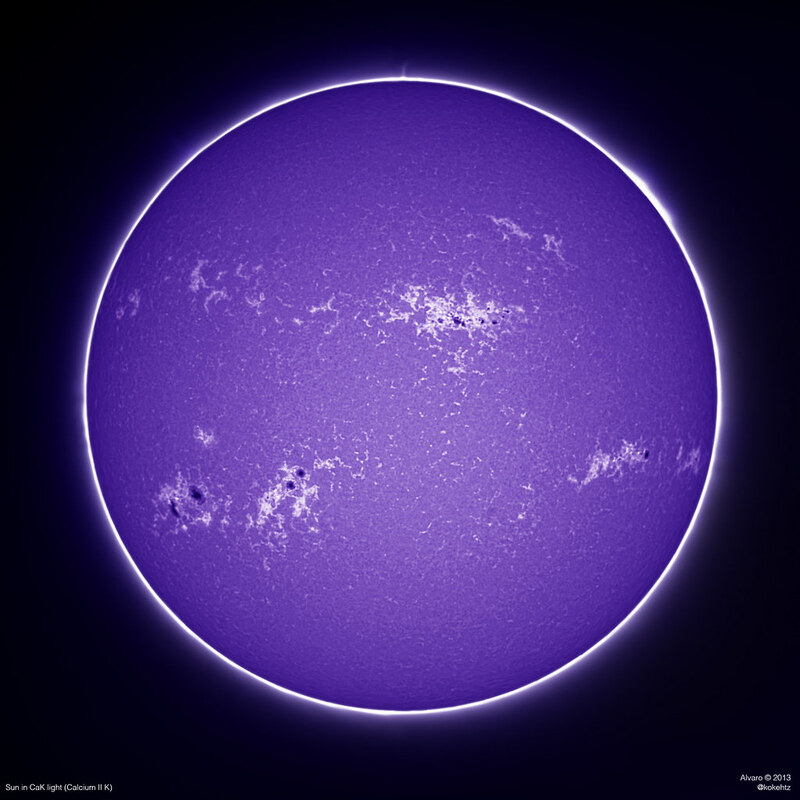 Chromosphere is also visible in the light emitted by the ionized calcium, in the violet part of the solar spectrum in a wavelength of 393.4 nm. 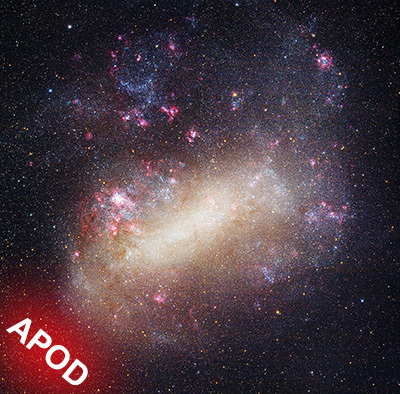 This light comes from calcium atoms that have lost an electron. 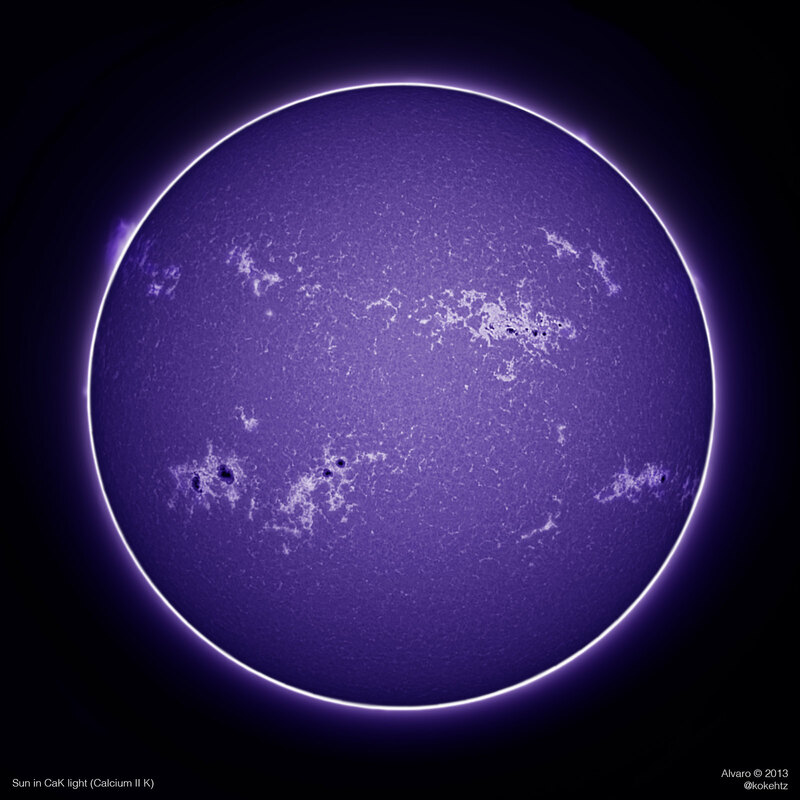 Dobson 250/1250 + Barlow 2x + IR/UV Cut + Canon 550D. Authors and copyright: processing: Lorenzo Comolli. Images by: Lorenzo Comolli, Luigi Fontana, Giosuè Ghioldi, Emmanuele Sordini. Last edited by bystander on Fri May 03, 2013 10:39 pm, edited 2 times in total. Rho Ophiuchi is a triple star system located at the southern end of the constellation Ophiuchus near de limit with Scorpius. 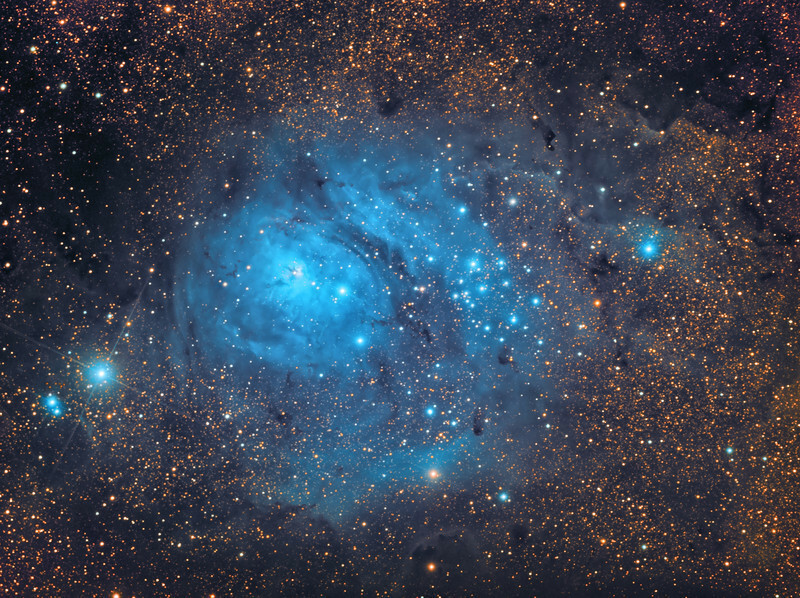 The stars are embedded in a large blue reflection nebulosity catalogued as IC 4604 which is mixed with several filaments of dark nebulae. This region is also part of a larger dust and nebulosity region known as the Rho Ophiuchus / Antares complex. 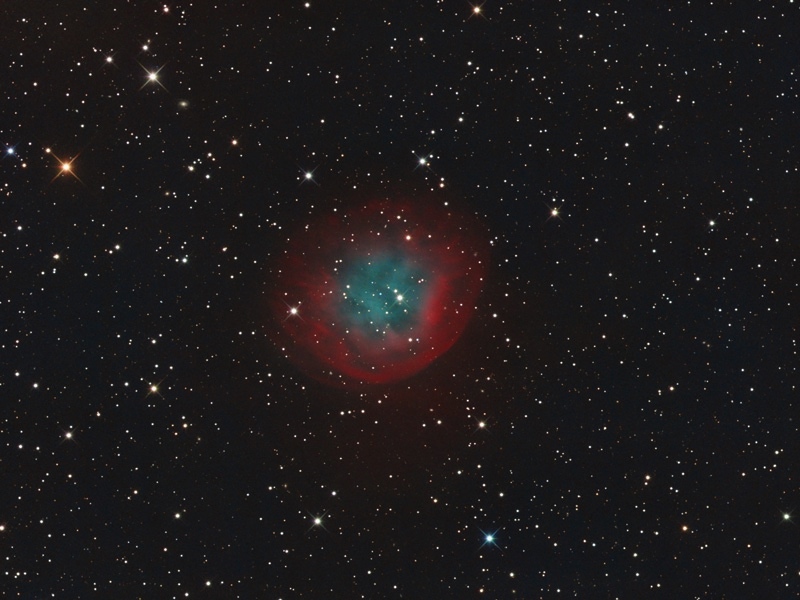 Dim Planetary Nebula Sh2-290 imaged with RGB, Ha and OII filters. A five minute exposure was taken of Orion rising above a barren tree on a Winter night in central Pennsylvania. 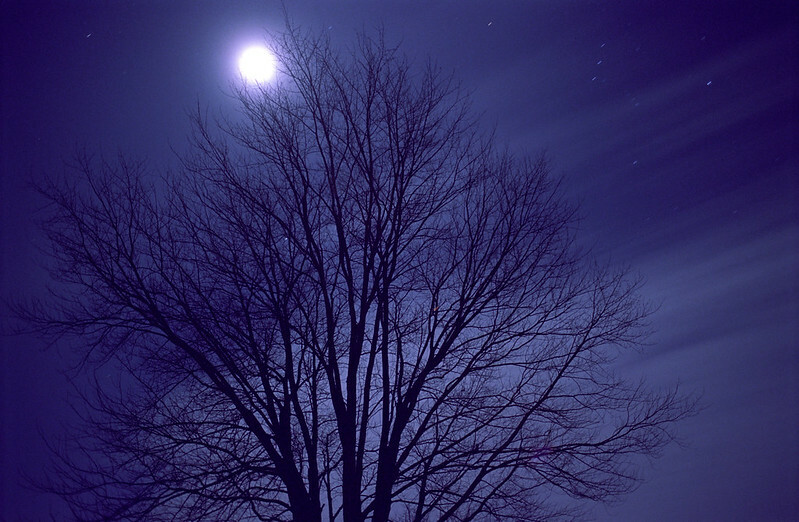 The photo was taken using a Minolta SRT-101 and a Rokkor 28 mm f/2.8 lens. Kodak Portra 100T (tungsten) film was used. Star Trails and low earth flash over the 3RF Comanche Springs Astronomy Campus Observatory. The Northern lights were a result of a fast-moving CME hitting Earths magnetic field. Bigger resolution available if needed. Mosaic of April partial lunar eclipse - first and last shot is approximatelly 75 minutes from mid-eclipse (penubral phase), central mosaic is made from shots captured every 2 minutes. Central image is from the maximum of eclipse (20:07 UT). The orange color of right part of mosaic is caused by low Moon above horizon. Last edited by bystander on Fri May 03, 2013 2:09 pm, edited 1 time in total. Last edited by bystander on Fri May 03, 2013 2:05 pm, edited 1 time in total. 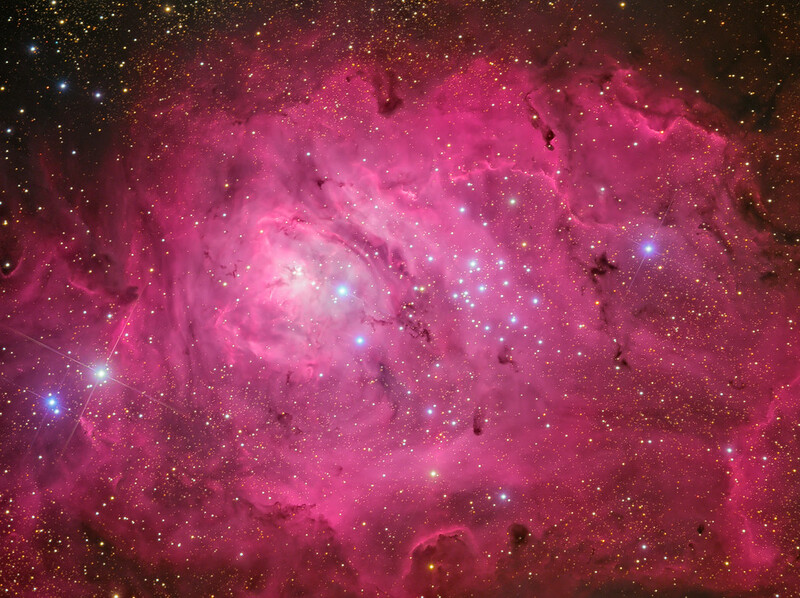 This infrared image of the Lagoon nebula contrasts heavily with traditional images taken in visible light. 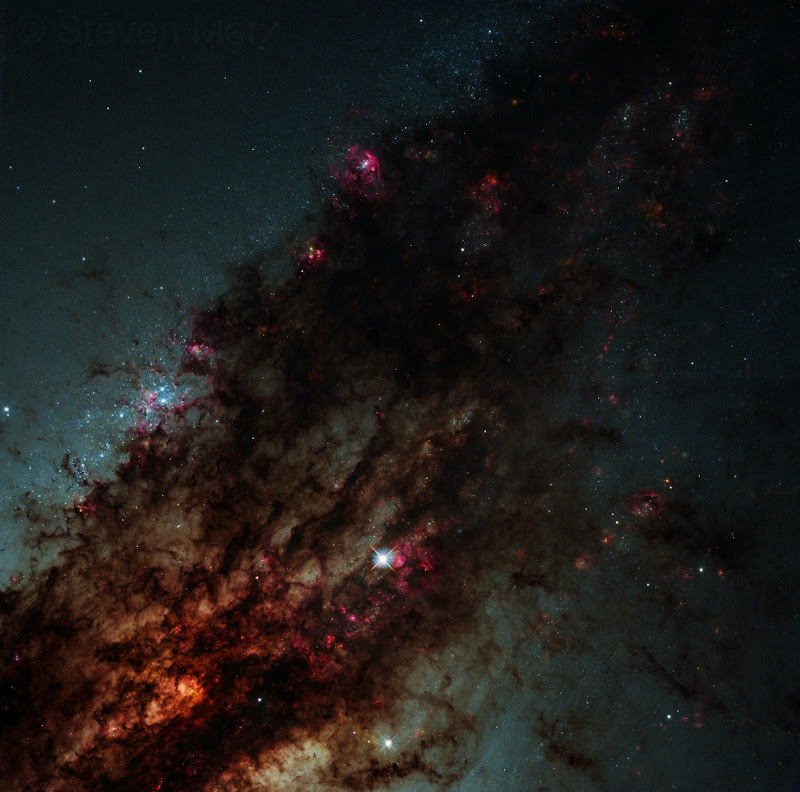 Such images primarily display the striking magenta colour from glowing Hydrogen gas, as well as large dark obscuring clouds of dust. 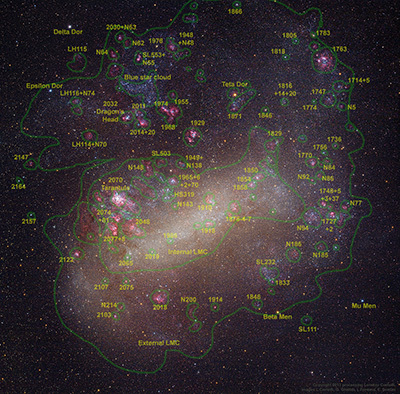 The infrared part of the spectrum penetrates these clouds better and reveals complex details and thousands of young stars that are otherwise completely invisible. 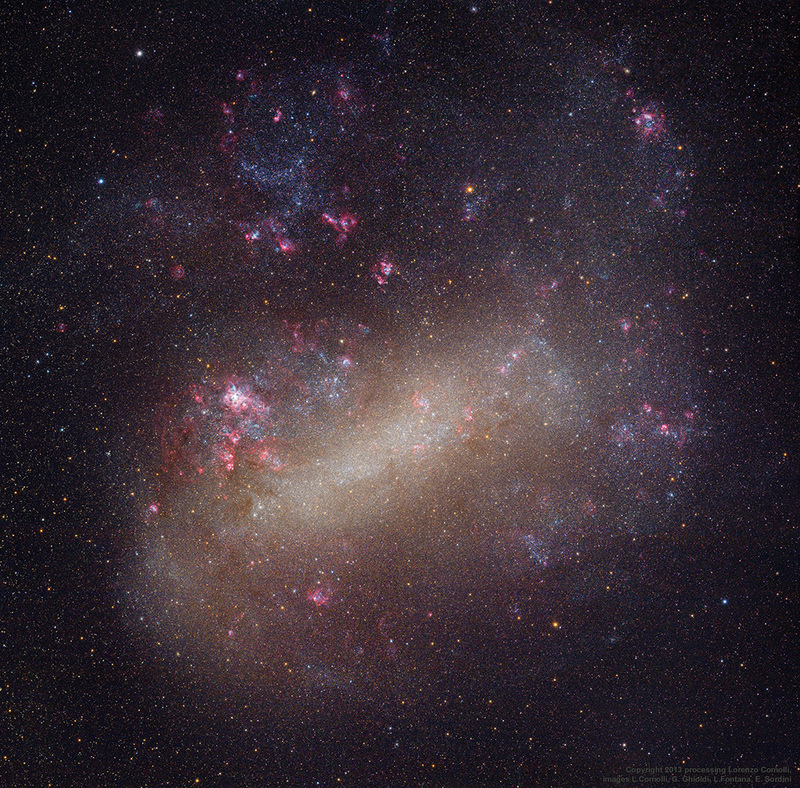 These stars shine primarily in the infrared and appear as golden red in this image. Only a minority of these are visible in traditional optical images. To create the infrared image I used a special NIR filter. Effectively the band observed is 700-1100nm since the sillicon CCD chip is not responsive to wavelengths longer than that, and this band is called NIR (Near Infrared). One issue arising from this technique is that the NIR band does not have a colour as such, since it lies outside the visible light spectrum. So to create a colour image from the NIR data I have developed a colour stacking technique which has produced promising results so far. 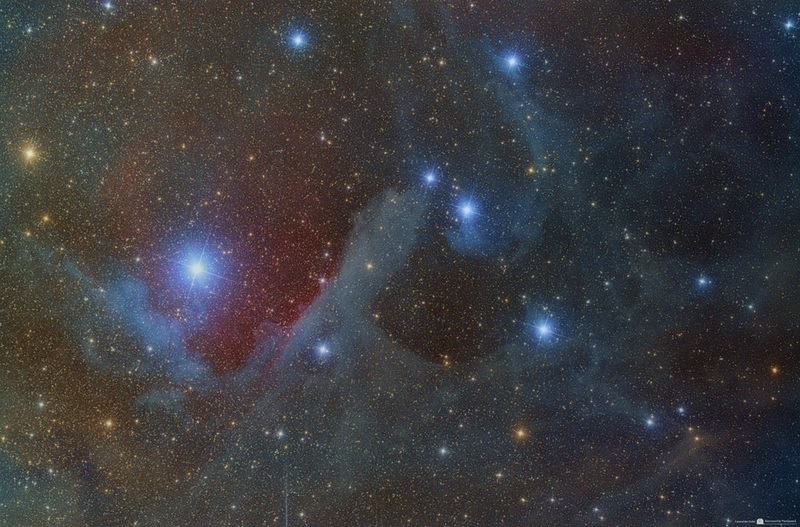 Substituting the R channel with NIR nicely brings out the contrast between the nebula itself and all the young obscured stars that shine primarily in infrared. This colour image is then overlaid with the NIR frame used as luminousity. 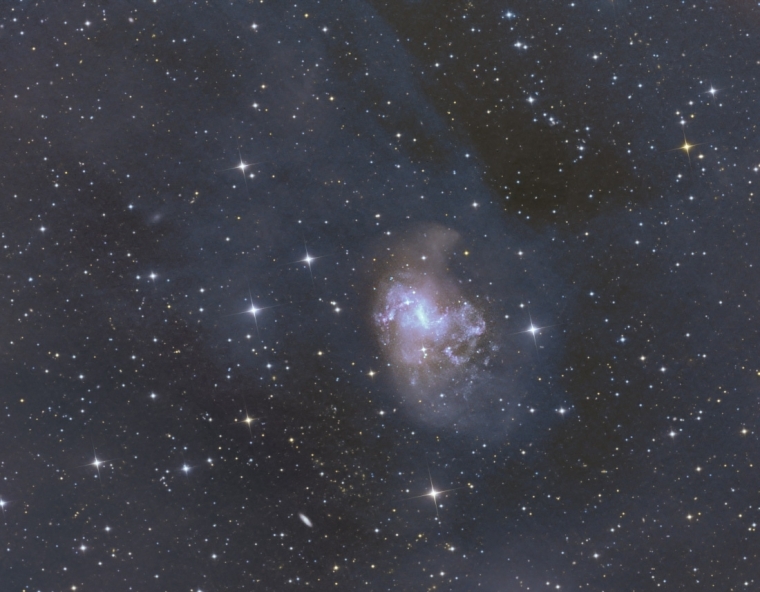 The result is a predominantly blue nebula, but with the areas that are bright in NIR showing as distinctly golden red which highlights the features that are visible in the NIR band and at the same time produces a visually very pleasing image. I have used this technique on a couple of different nebulae and am very happy with the results. This is the Sun in CaK light taken with PST CaK, QHY5-II and NEQ6 Pro II. sundog, of A month of color. 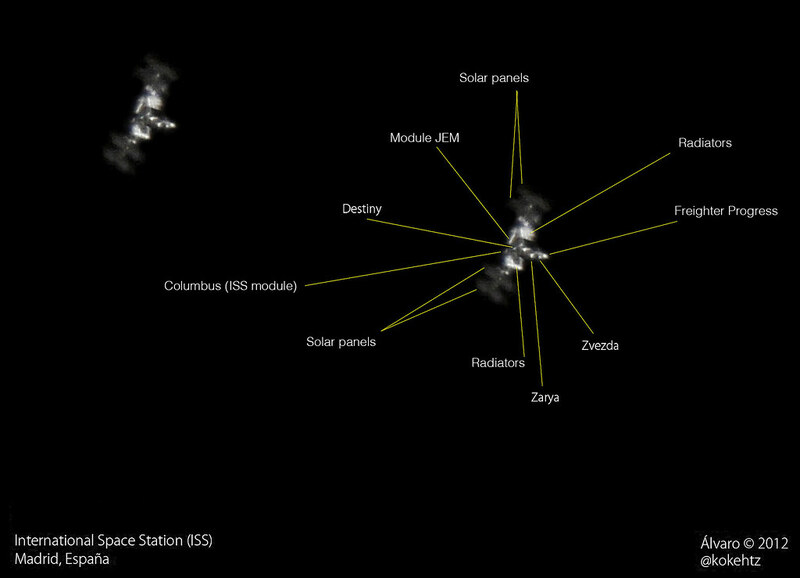 This was imaged with my Astro-Physics 152mm and DayStar Quantum PE .5 Angstrom filter and Flea2 video ccd camera. These images were taken 1 hour a part.